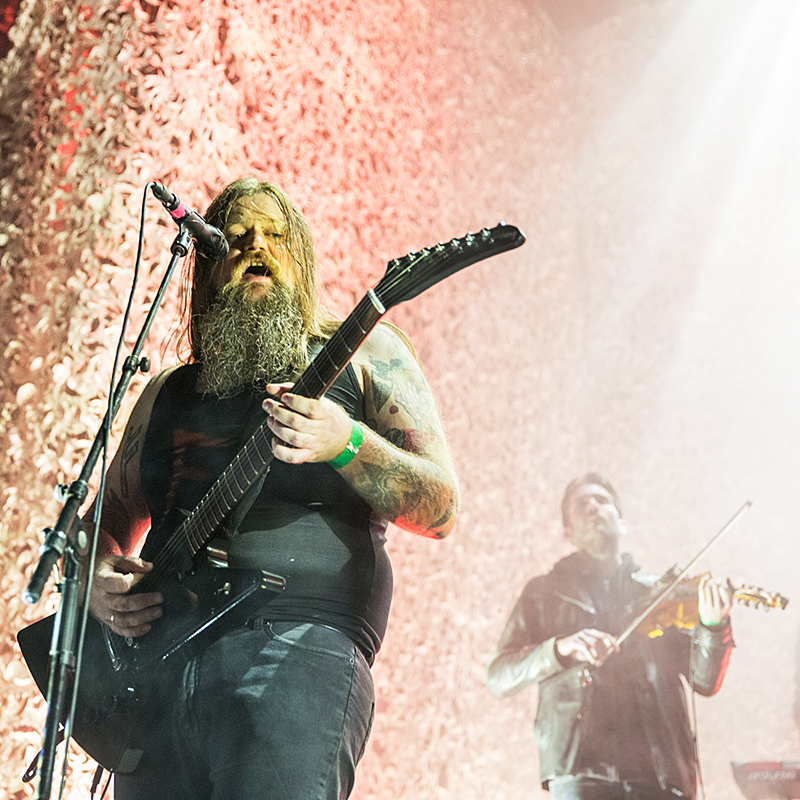 Skuggsjá is a compisition made by Wardruna’s Einar Kvitrafn Selvik and Ivar Bjørnson from Enslaved. It was premiered at Eidsvoll Verk, 50 miles north of Oslo, the very same place were the 112 men gathered in 1814 to write Norway’s constitution. The place has got the very building were the men gathered, plus there is a dam for an old power station and buildings for carpenters, a stable, and such. 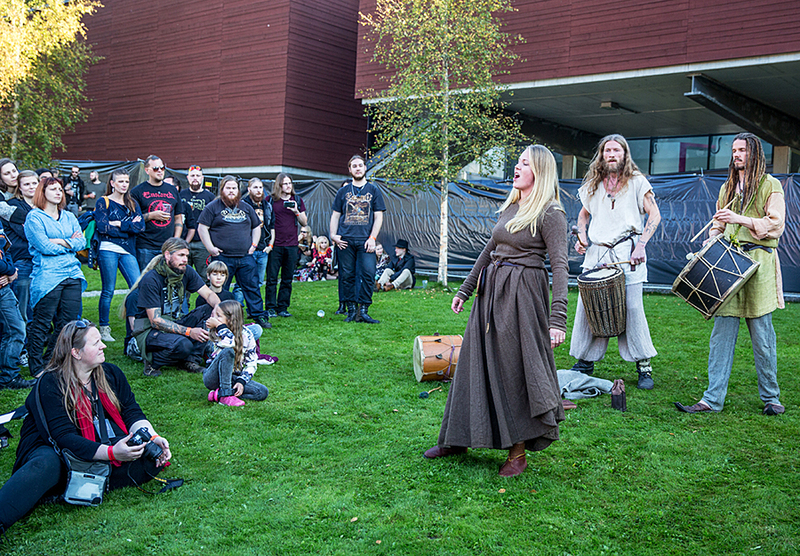 While Skuggsjá was the closing acts of the night, Eidsivablót started 10 hours earlier with viiking activities, guided tours to viking burial mounds in the area, beer tasting, an acoustic concert with Glittertind, plus concerts in the viking spirit by Folket bortenfor Nordavinden (The People from beyond the Northern WInd). 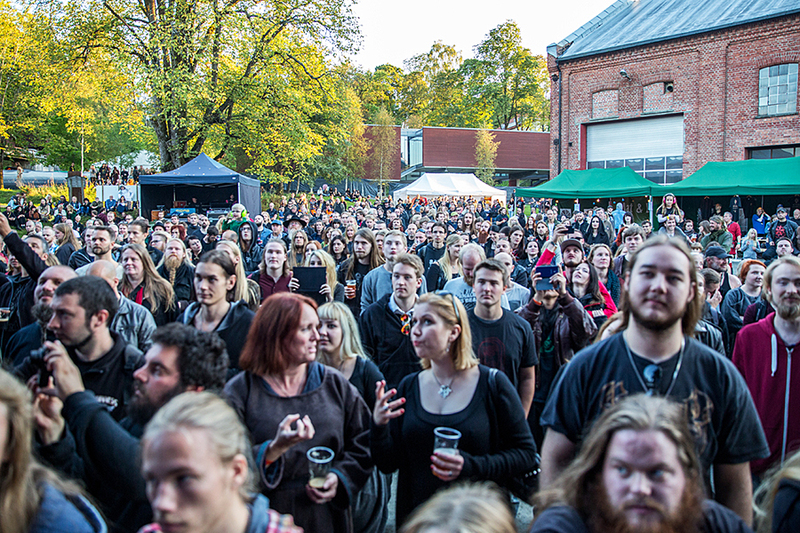 When the light started to go away, we got concerts with Wardruna and Enslaved, before Skuggsjaa was performed by both the two bands. 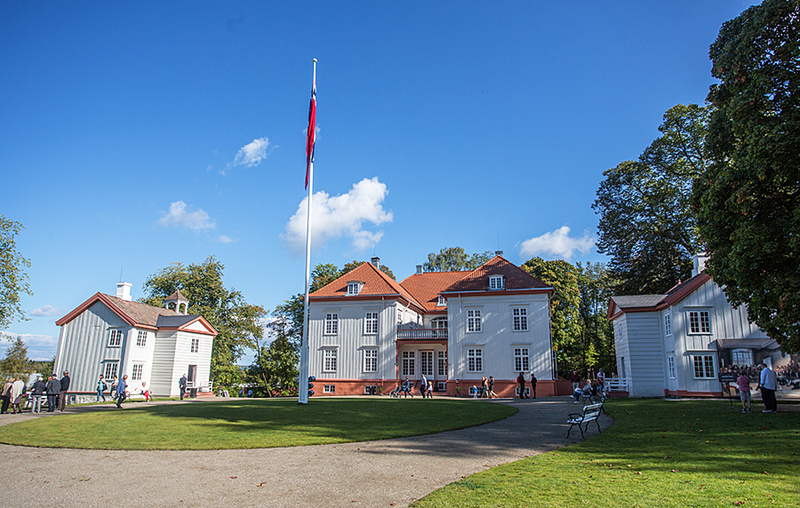 The historical background and the reason for holding the blót at Eidsvoll Verk can be read on the Edsiveblots’ web page. 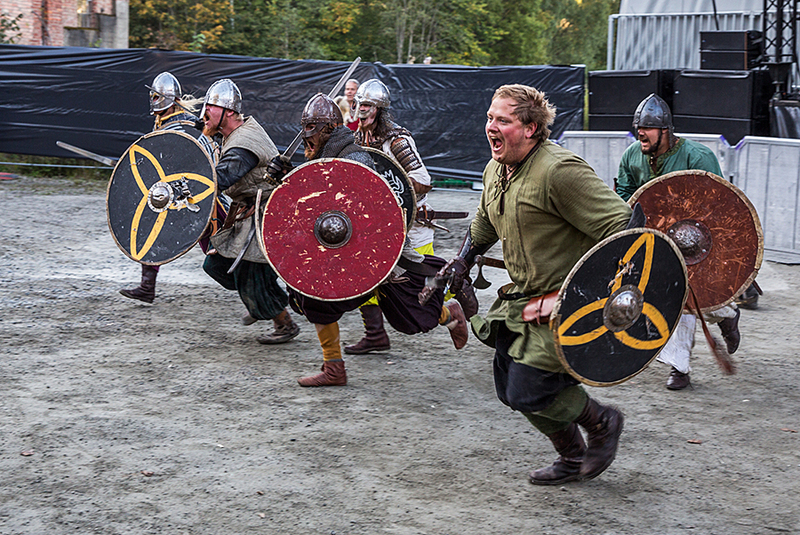 I have been to many metal festivals and concerts, but never to viking parties. Here they came, dressed in clothes in the style of the Vikings, and showed how the Vikings lived a thousand years ago. 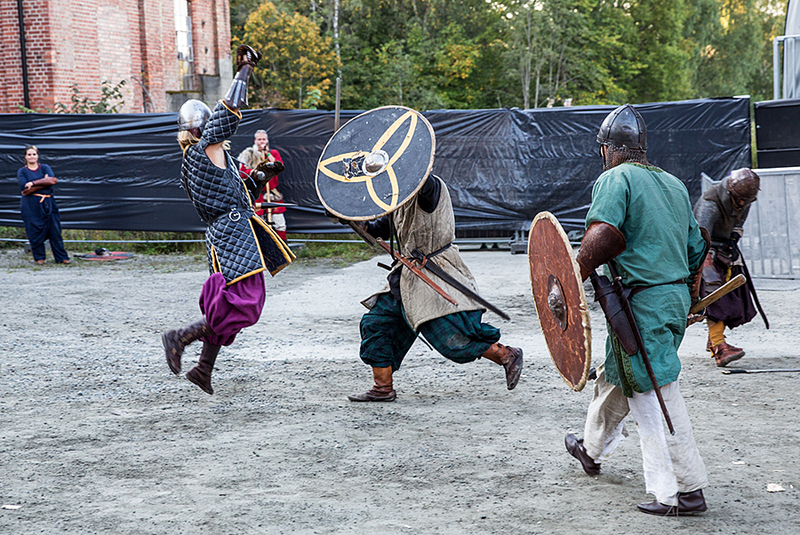 We got competitions, tug of war, and as the last performance before the bands entered the stage, we got a very realistic looking Viking battle with swords and axes. There are many viking societies in Norway, and several of these were represented at the blót. It also seemed like the metal fans also liked the viking activities. 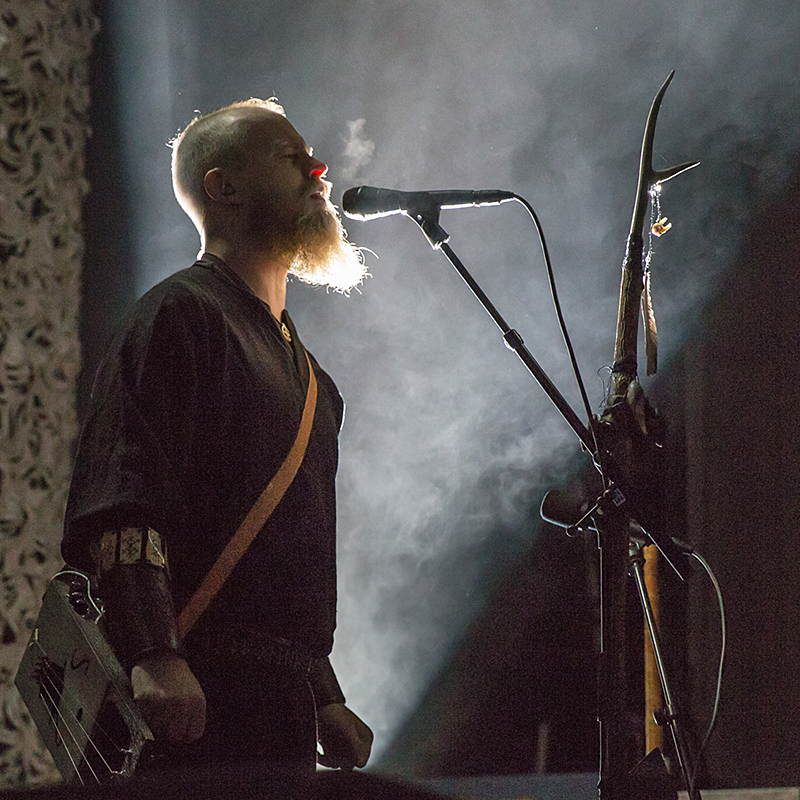 Wardruna was the first band out on the big stage at night. They are a band that is based upon the old Norse spiritualism and also the runes by the Elder Futhark. They have existed for ten years and have released two albums, both based on a set of runes. 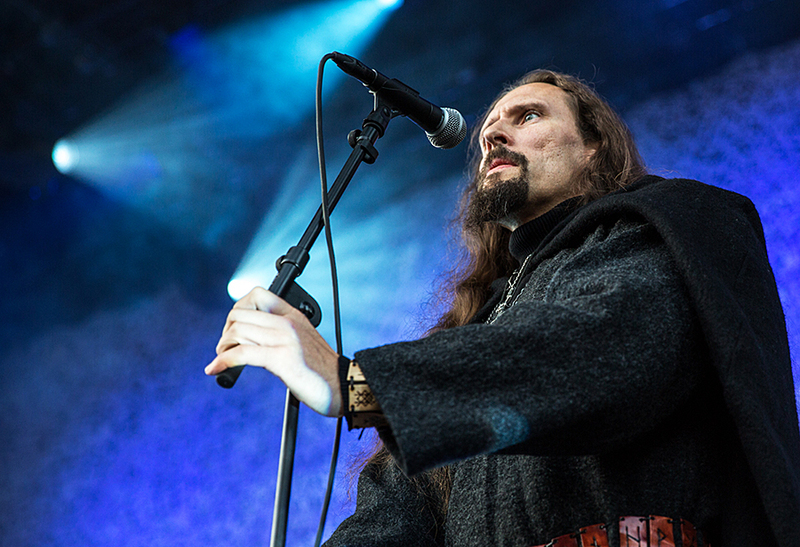 The band was started by Einar Kvitrafn Selvik, Linda Fay Hella and Gaahl. 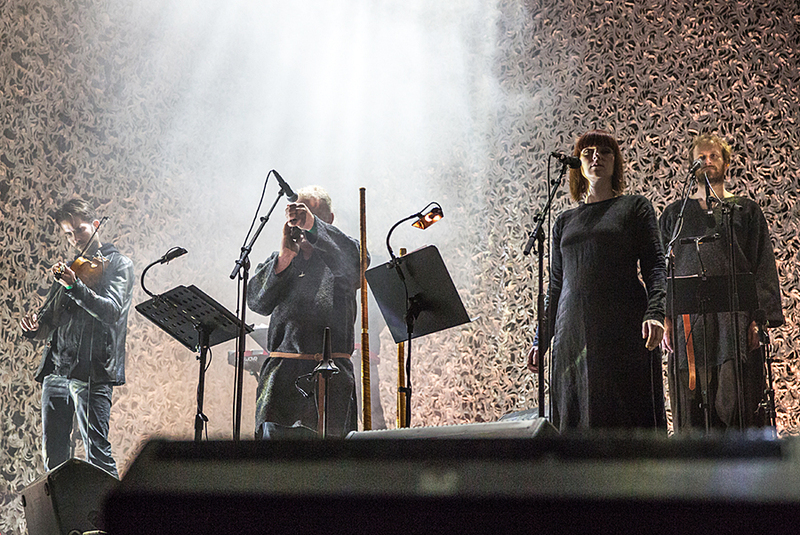 In their music they combine old Norse instruments with modern electronics to make a hypnotizing ground for the lyrics sung by Kvitrafn, Gaahl and Hella. 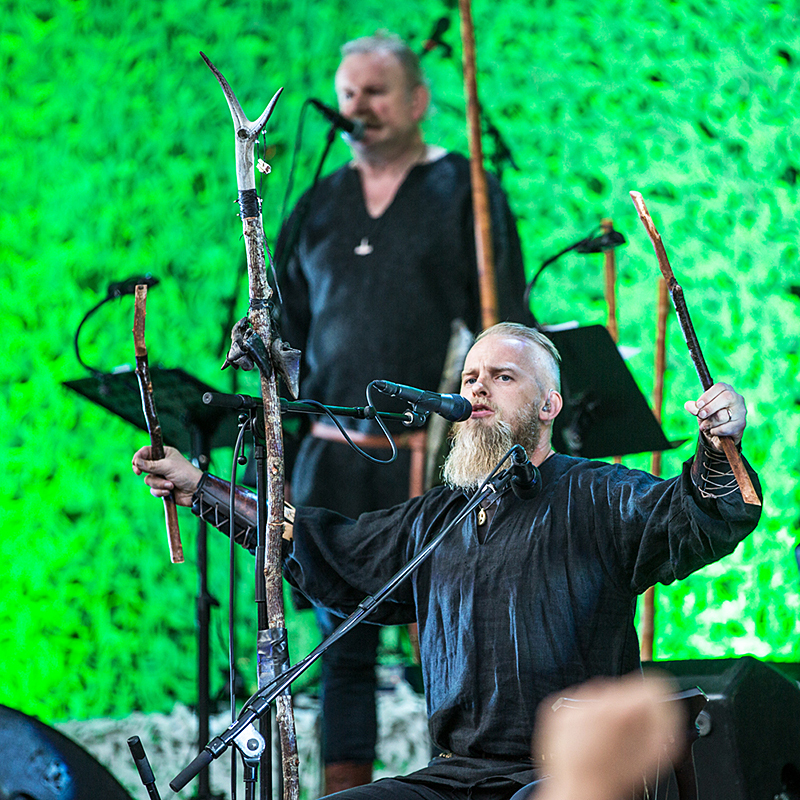 This was the second time I heard Wardruna. 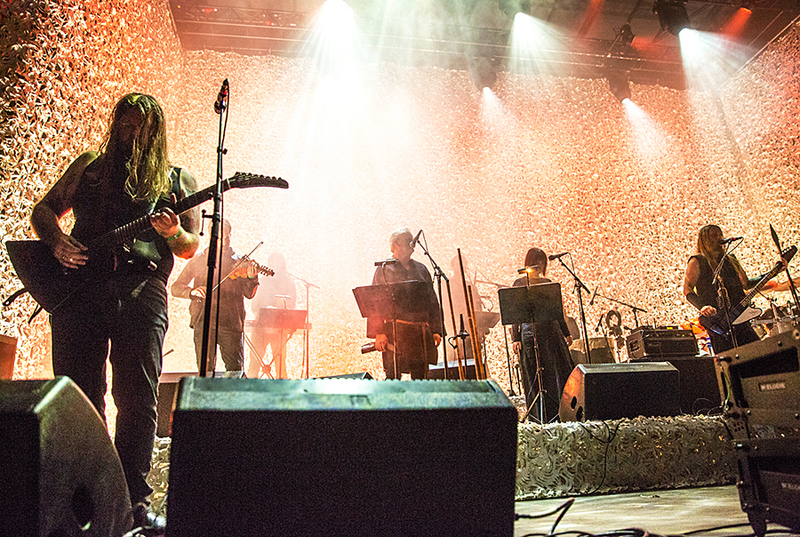 The first time was at the Eurosonic festival in Netherland in 2010. I must admit I thought they were good, but not brilliant that time. Yesterday was something else. Their act is good, the sound was much better, so the different instrument and voices came through perfectly, making this a perfect concert to me. 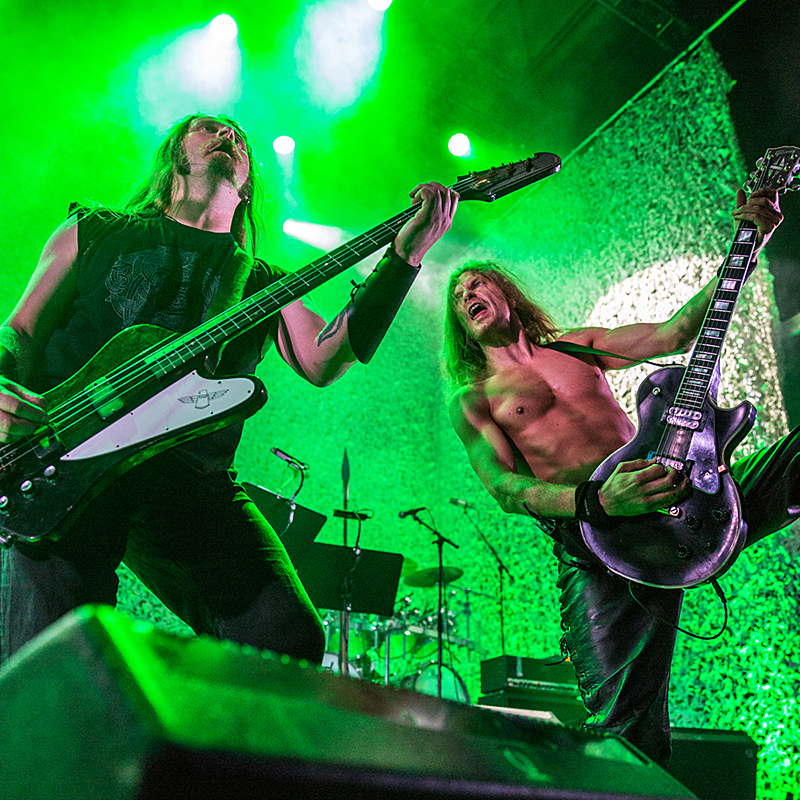 Enslaved are one of the veteran bands on the Norwegian metal scene. They are an progressive extreme metal band, inspired by Vikings, nature and the Norse mythology. Their albums have names like Vikinglidr Veldi, Blodhemn, Isa Ruun, Riitiir and Axioma Ethica Odini, all of them with references to the Norse culture. 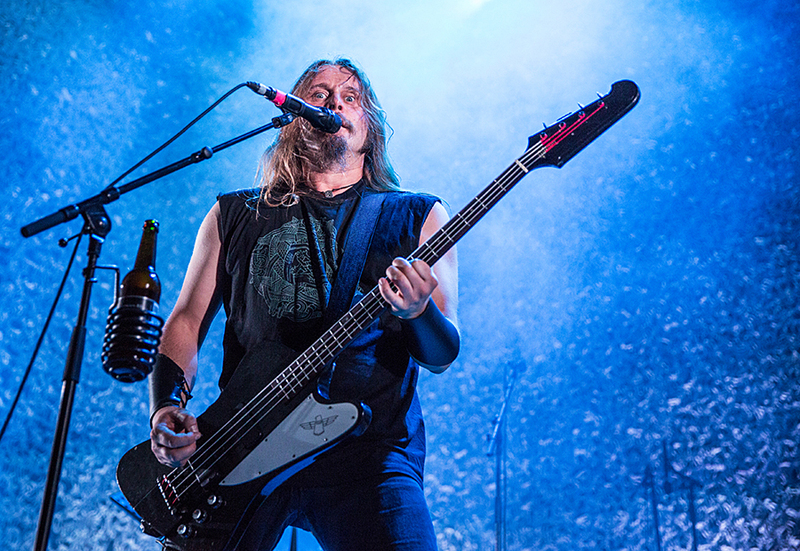 Enslaved have changed personnel during the 23 years they have existed, and Grutle Kjellson (vocal, bass) and Ivar Bjørnson (guitar, vocal) are the only founding members left. 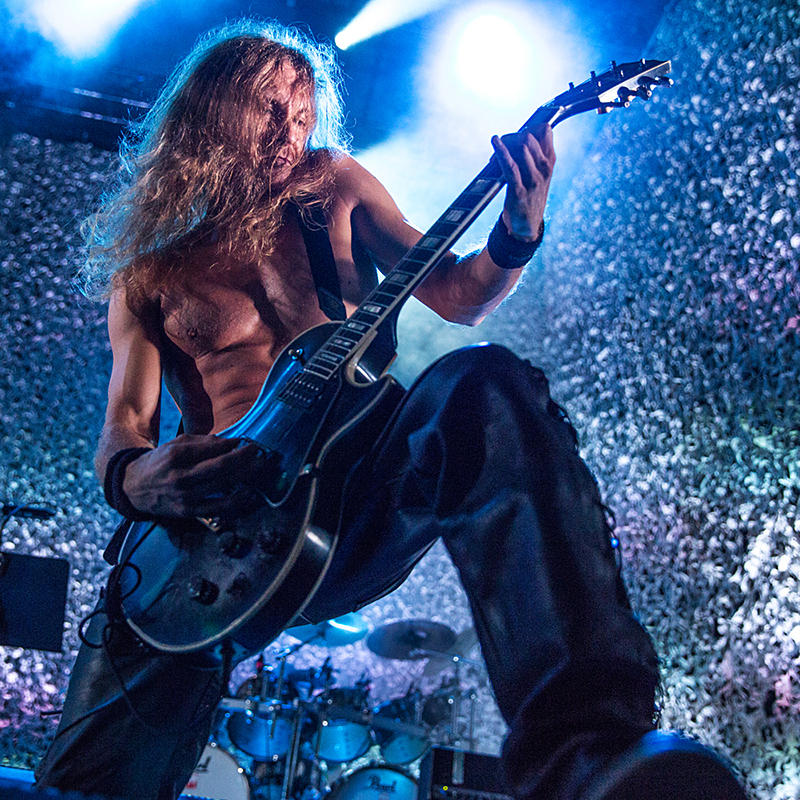 Arve (Ice Dale) Isdal (lead guitar), Cato Bekkevold (drums) and Herbrand Larsen (keyboard) have all been members of the band for 10-12 years now. 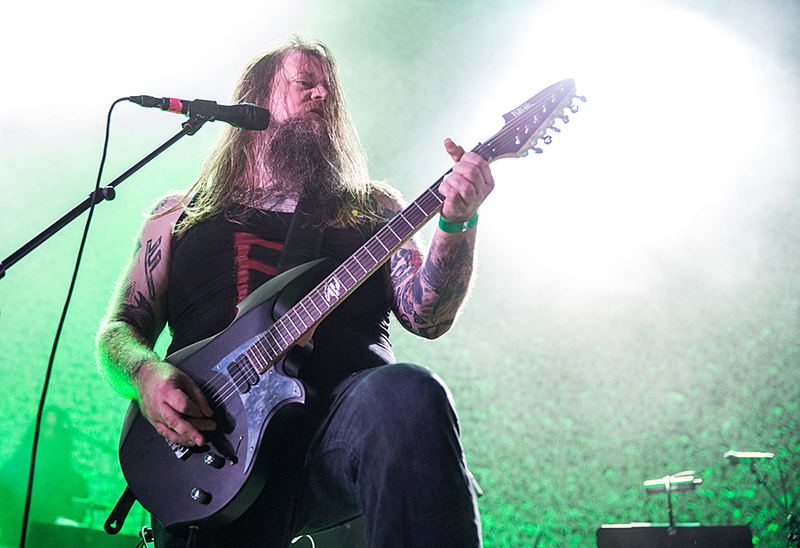 Enslaved as a band are tight, hard and brutal, and one of Norway’s best and also most well known. 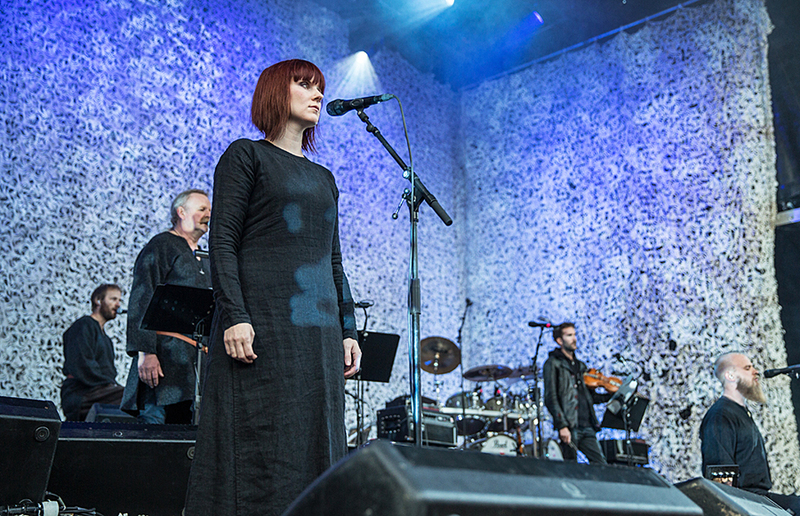 The festival closing act was Skuggsjá. The composition was commisioned from Ivar Bjørnson and Einar Kvitrafn Selvik for this occasion, and was performed by both their bands. “Skuggsjá is a work that not only contextualizes the harder music’s role in the democracy in Norway in 2014, but also pull threads from our ancient musical history and to the harder music’s position as perhaps Norway`s most important cultural export.” (from the program folder). Skuggsjá lasts about an hour, and musically it is composed by several pieces, with different topics. It is a good mix of the two bands’ sounds, and they blend very well together, even if you can hear which ones are mainly written by Bjørnson or by Selvik. I hope Skuggsjá will be released as an album. The concert last night was recorded, so hopefully we will be able to hear it again. I also hope the two bands will perform it again so more people will hear it. It is definitely worth it. 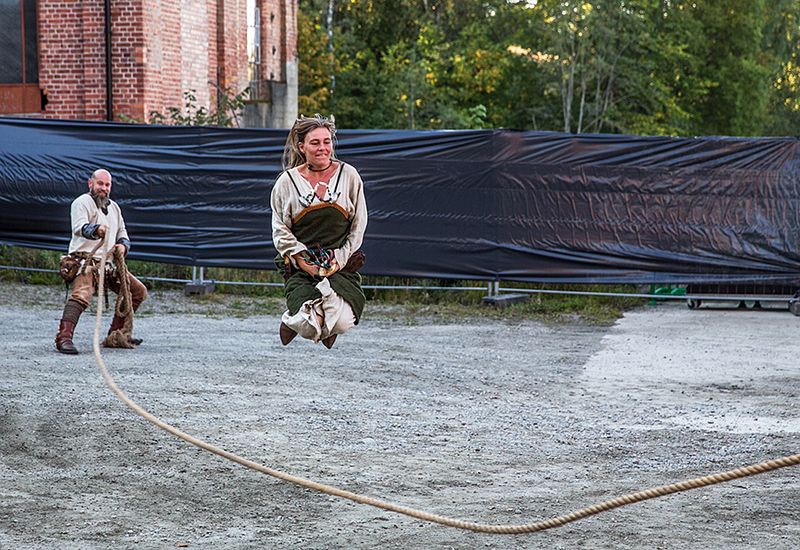 Eidsivablót was arranged by the Akershus county’s culture department, and the festival was a success. The crowd of something a little less than a thousand people had a great time, the atmosphere was good, and the music was perfect. And you can’t go wrong when the beer is from the Norwegian brewery Nøgne Ø (The Naked Island)Bot the viking fans and the metal fans got what they came for, and to me this was a worthy closing of the 200 year anniversary. 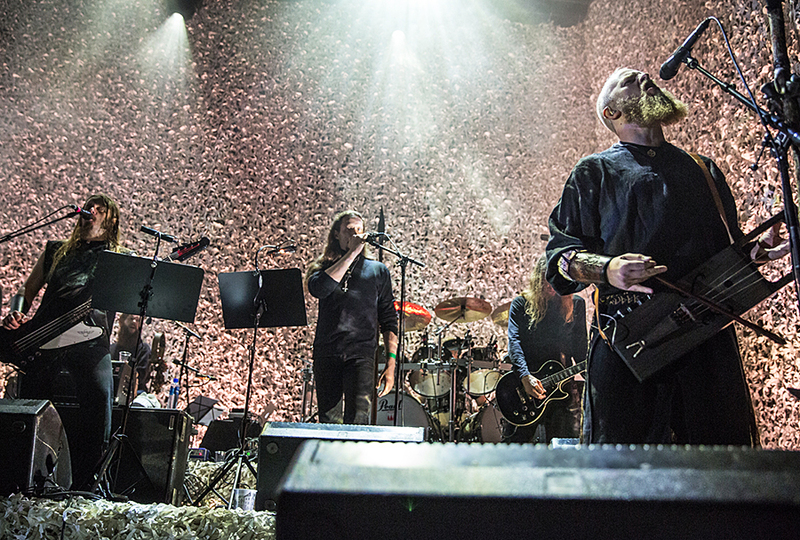 This entry was posted in Concert, Festival and tagged constitution, Eidsivablot, Eidsvoll, Enslaved, Skuggsjá, Viking, Wardruna by Per Ole Hagen. Bookmark the permalink.